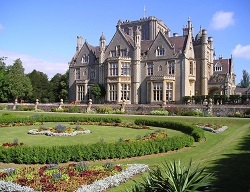 We have a excellent selection of spa hotels in the Gloucestershire and Cotswold areas of England. From olde worlde grand hotels to modern, contemporary and chic venues to stay for a spa break, you are sure to find something that suits your taste. For the ultimate romantic spa break you may wish to have a look at the Tortworth Court or the Wyck Hill House. Both venues have a stunning hotel and great spa facilities. For a modern hotel with a fresh and airy feeling look no further than the Cotswold Water Park. The Hallmark Hotel Gloucester offers cheap rates on spa breaks staying anytime of the year. Whether it is a last minute 1 night spa break or a longer weekend getaway you can be sure there is something to do for everyone in the Gloucestershire area on one of our spa breaks. It might be that you don’t want to do anything at all! Just simply take time out in your spa hotel enjoying the hotel’s leisure facilities. Don’t forget to make the most of your time at your chosen spa venue by treating yourself to an inclusive or extra add on spa treatments. Treatments at all of our venues can be tailor made to your exact needs whilst at the hotel. Whilst in this beautiful county your really should make the most of what it has to offer. For the more adventurous there is a diverse collection of attractions and things to do ranging from wildlife and animal parks to enchanting natural wonders. Visit historic castles or take a nostalgic journey on a steam railway. Pack a picnic for the family to enjoy in one of the many beautiful gardens and awesome arboretums around the county. Call us on 0800 246 5511 to check availability on any of our spa breaks in Gloucestershire. Exquisite cuisine, attentive service and elegant surroundings all come together at Tortworth Court. Set on the edge of the Cotswolds in South Gloucestershire, this magnificent Grade II listed Victorian mansion is set in 30 acres of tranquil parkland, with an arboretum of over 300 rare and protected trees. Relax in country-house style in one of the elegant lounges, bars or drawing. . .
On the edge of the Cotswolds in 140 acres of parkland, the Hilton Puckrup Hall Hotel has its own 18-hole championship golf course and luxurious spa. The stunning location offers the perfect backdrop for the ultimate spa break. From the moment you enter the Escape Spa at Puckrup Hall, you will experience a sense of tranquillity and calm. Utilising world renowned. . .
Set in 15 acres of stunning landscaped grounds with views over the surrounding countryside, The Cheltenham Chase Hotel is the perfect escape for anyone looking for a break including spa treatments in the Gloucestershire area. With 122 contemporary bedrooms, 4* luxury greets you from the moment you arrive. Hardy’s Restaurant and it's team of international chefs offers the very best cuisine,. . . The Cotswold Water Park Four Pillars Hotel is where contemporary design blends with the timelessness of nature. Water, rolling grassland and ever-changing skies will be visible at almost every turn, the landscape captured through vast expanses of glass or enjoyed in the hotel’s outdoor areas. Nature’s touch also inspires the interior styling, with wood, stone and other natural elements being integral. . . This luxury hotel and spa is set within 100 acres of grounds and is nestled in the rolling hills of the Cotswolds offering breathtaking views and is based just outside the Market Town of Stow-on-the-Wold. Wyck Hill House Hotel & Spa is the perfect retreat for spa breaks in the Cotswolds. Take your pick of bedrooms from our Garden, Orangery, Coach. . . This award-winning luxury hotel and spa in the heart of Chipping Campden, Gloucestershire, which has recently benefitted from a substantial refurbishment, will appeal to discerning travellers visiting the Cotswolds, looking for tranquility, sublime comfort, exceptional food and a stunning spa. Our inspirational and award-winning Spa is perfectly located in the heart of Chipping Camden, hidden at the top of the hotel. . .